How can I get the HTML5 code of the HTML5 Video Format Converter so I can add it into my website? This HTML5 Video Format Converter helps you import local video source files into the program and generate video players with professionally designed templates and skins. The final result will be saved in the output folder of the HTML5 Video Format Converter. 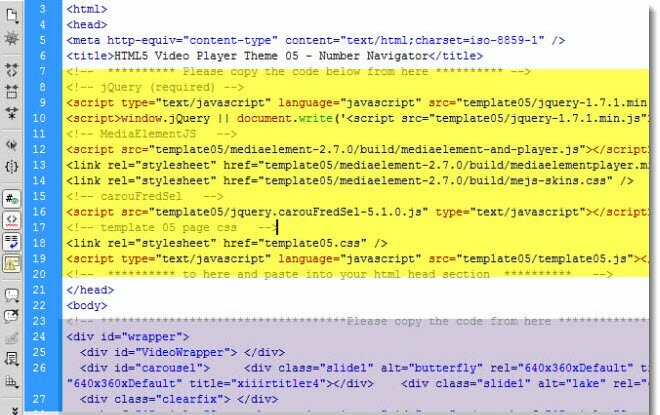 In order to add the generated video player into your websites, you will need to get the HTML code first, then insert it into your web page source.